Wills can be prepared under many different circumstances. Some people write their wills in the presence of an attorney, others use online templates, while others chose to personally handwrite their wills hoping they will be legally sufficient when they die. Despite the many ways people use to prepare their wills, there are some wills that are not considered valid under the law. In Florida, holographic and nuncupative wills are not recognized, and a person who dies with either of these wills as his only will is considered to have died without a will. The basic rules in Florida for a will to be valid are that the will is in writing, signed at the end by the testator, and witnessed by two witnesses. The witnesses who sign the will must see the testator and each other sign the will. When these requirements are met, the will may be considered legally valid, at least in its execution. There may be other grounds for contesting the will, but at the basic level, these are the requirements for a Florida will to be legally valid. Oral wills, also known as nuncupative wills, and holographic wills are not valid in Florida. A holographic will is defined as a will that is written entirely by hand by the testator, and signed only by the testator. However, just because a will is handwritten does not mean that it is invalid. If it is witnessed by two witnesses who follow the requirements outlined above, a handwritten will can be deemed legal. Even if a testator dictates a will on videotape, because oral wills are not valid, it will not be legally valid. This can be an unfortunate result because the testator’s intent in how his property should be distributed can be ignored because the requirements of the law are not followed. If a testator cannot personally write the will, for example due to a medical condition, the will can be written by another person in the presence of the testator, and witnessed as required under the law. A written will that seeks to do what an oral will cannot will also not be upheld under Florida law. For example, a testator cannot leave his property to a friend or family member in a written will, and in the same will require that the beneficiary distribute the property in accordance with the wishes of the testator – as the beneficiary and testator discussed before the testator’s death. If you want to leave your property to certain people or organizations, it is best to have that spelled out in your will in as clear language as possible. 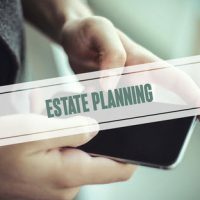 When you are making an estate plan, you have to make sure that the plan is sound enough to survive your death, and is not undermined after you pass away. Before you prepare your will, you should consult with an experienced estate planning attorney to ensure that you satisfy the requirements to have a legally valid will. Call an experienced estate planning attorney from the Millhorn Elder Law Planning Group located in The Villages, Florida.